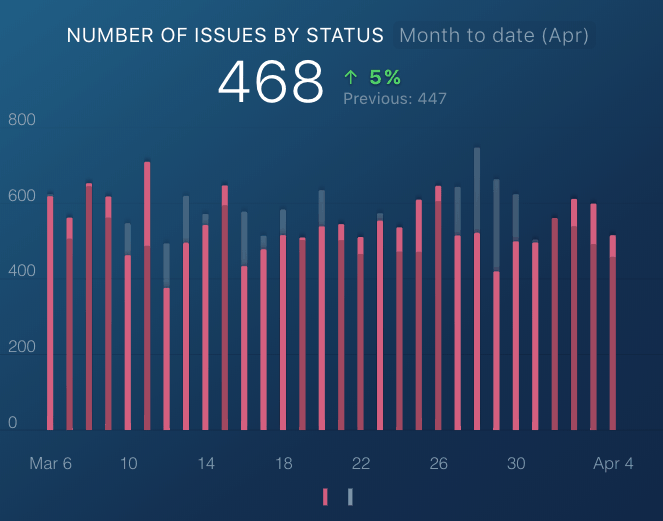 Track the efficiency of your sprints, issues created and resolved, and all other project tracking performance right in Databox. 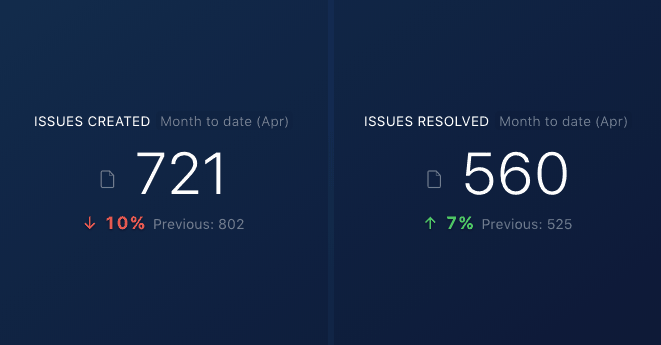 We’re officially launching our integration with Jira, allowing you to track projects, bugs/issues, and customer support issues alongside all of your other performance data inside of Databox. This is particularly powerful as it brings together project management data alongside performance data to give companies an even better view of efficiency, profitability, and project scope. 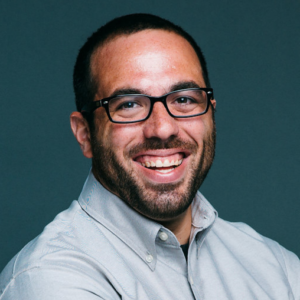 A special thanks to Bluleadz and Alaniz Marketing, two Databox customers that were collaborators in the development of this integration, allowing our team of engineers access to their Jira accounts in order to learn more about the specific use cases, and most importantly, how we could make it all easier to track and visualize. While different companies use different terminology in order to track effort and efficiency in Jira, most use some variation of story points (effort) and value points (cost) to understand efficiency, profitability, and even project scope. This is especially important for agencies, as staying within budget relies on hitting timelines and protecting against scope creep. 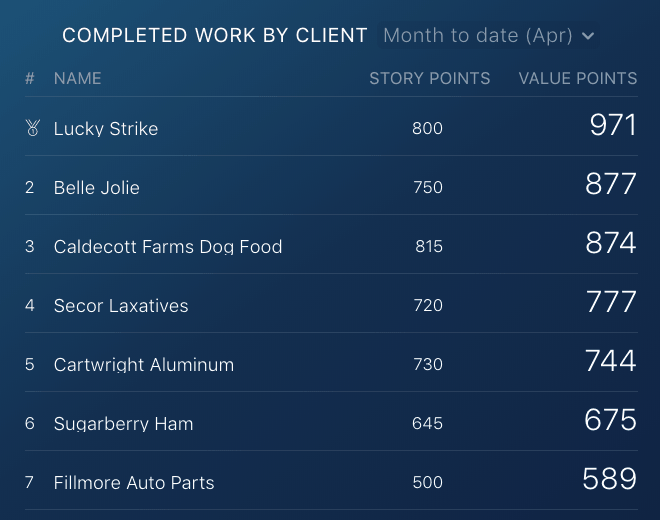 Now you can track all of this inside of Databox, comparing story points to value points in order to get a quick overview of the overall efficiency of your team. A key tenant of agile development is ensuring that every sprint is efficient and smarter than the last one. Over time your team gains a better understanding for how many story points are needed to complete certain projects, how many total story points their team can handle during a given sprint, as well as how many issues they can address over a given time period. This helps teams plan and ultimately deliver better experiences. Now you can see a more visual representation of the overall efficiency in certain areas, i.e. story points, number of issues, open/closed issues, etc. Resolving key product and/or customer support issues is critical for ensuring customer happiness and retention. Now you can quickly monitor your team’s, or even your individual reps efficiency in resolving issues created. As is the case with many project management software tools, the specific use cases across different companies can vary greatly. Jira is a fully customizable product enabling a wide variety of use cases depending on the user and/or company using it. 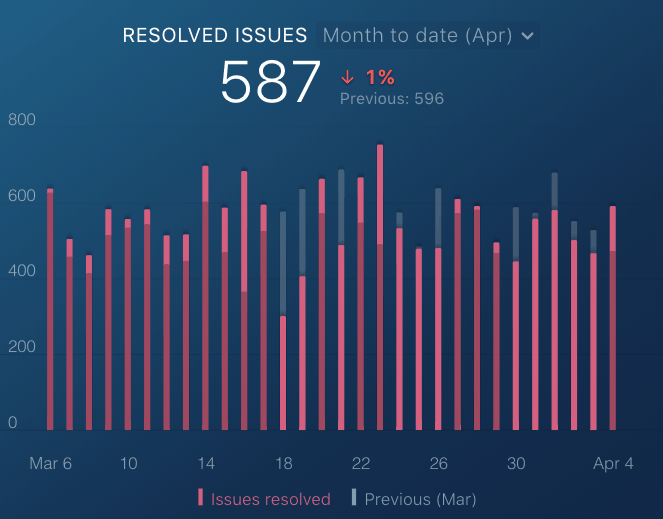 To get the most from the Jira integration, our engineers built it upon a powerful Query Builder connection, which allows any company to create and access the project tracking metrics that are most valuable to them. Query Builder, available on Plus plans and above, is a tool within Databox that allows users to manipulate data points and create custom metrics in order to get a more personalized view on performance. Want to try the Jira integration? While Jira is one of our premium integrations, we’re giving any of our free or Basic users the opportunity to try it for free in order to determine if it’s worth the upgrade. Reach out to help@databox.com to request free access. Once you’ve had a chance to try out the new integration, please let us know if there is anything we could improve. We support all of our integrations when there are suggestions or improvements.